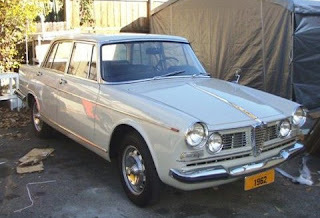 The Alfa Romeo 2600 (series 106) was Alfa Romeo´s six-cylinder flagship produced from 1961 to 1968. It was the successor to the Alfa Romeo 2000. 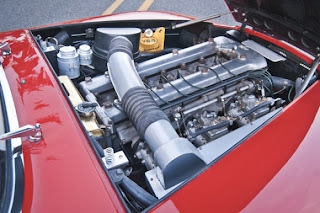 It has become historically significant as the last Alfa Romeo to have been fitted with an inline six-cylinder engine having twin overhead camshafts. That had been the traditional Alfa Romeo engine configuration since the 1920s, but gave way to four-cylinder engines as the factory oriented its production towards more economical mass-produced car models after the Second World War. The 2600 was introduced in the 1962 Geneva Motor Show, as a sedan with a factory-built body (2600 Berlina), a two-plus-two seater convertible with body by Carrozzeria Touring (2600 Spider), and a coupe with a body by Bertone (2600 Sprint). 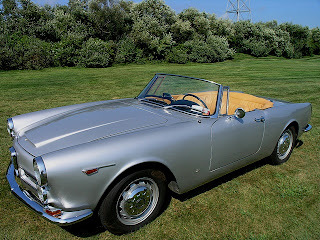 A convertible based on the Sprint coupe was shown by Bertone in 1963. It was also named 2600 Sprint, but did not enter production. 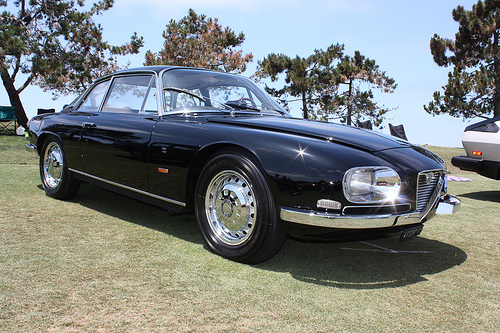 The 2600 SZ (Sprint Zagato) with fastback coupe bodywork by Zagato, and the limited-edition 2600 De Luxe with five-window sedan bodywork by OSI (Officine Stampaggi Industriali) were introduced three years later in 1965 at the Frankfurt Motor Show. The Berlina, Spider and Sprint were based on the corresponding models in the 2000 range, and all three inherited the body styling of their predecessors with minor facelifting. The biggest change was the engine. A brand new all-alloy 2.6 liter engine with six cylinders in line and twin overhead camshafts replaced the earlier four-cylinder engine with its cast-iron block which dated back to the 1900 range of 1950. Two carburettors were fitted to the Berlina engines, while the Sprint, Spider and Sprint Zagato engines had three twin-choke horizontal carburettors and developed 145 bhp (108 kW). The OSI De Luxe was available with either the two-carb or the three-carb setup. Total production for the Sprint was 6999 cars, and for the Spider 2255 cars. From a sales point of view, the 2600 models were not a success, despite deserved acclaim for that excellent engine. The poor sales were not only due to the elevated prices of the 2600 models. The cars did not compare well to contemporary products, including those of Alfa Romeo themselves. The factory had decided - correctly, as it turned out - to concentrate their limited development resources on the mid-sized Giulia which was introduced at about the same time. The flagship 2600 range was only a minor facelift of the 2000 range with a new engine, as this was all that the factory could do with the resources available. Since the 2000 itself had basically been a 1958 restyling of the 1950 1900, this left the 2600 with running gear a dozen years old at introduction. The new engine also added weight and length at the front; though this did much for stability, it did not help the handling. Because the 2600 was a flagship Alfa Romeo model, expectations were high, and both critics and customers quickly spotted the deficiencies, both on paper and on the road. For example, the 165-400 radial tires fitted to the 2600 were a mere 10 mm (0.4 in) wider in section than the 155-15 tires fitted to the Giulietta, though the 2600 had considerably more power and weight. When the new Giulia appeared with completely new running gear, the 2600 was shown up even more. Another reason for slow sales was styling and concept. The Berlina's styling was not happy and that was reflected in especially poor sales for that model; while most Alfa Romeo berlinas in the marque's history outsold the more specialised sporting models in the same range, the 2600 Berlina did not outsell the 2600 Sprint and Spider. The 2600 Spider had styling which was seen to be derivative of that of its smaller stablemate, the Giulietta Spider: certainly handsome, but lacking the smaller car's grace and balance. The larger car's handling also suffered perhaps unfair comparison to that of the Giulietta Spider, and this is an important factor in a car with a sporting orientation. One sales point in its favour was that it was a four-seater convertible, though the two rear seats were fairly cramped. The 2600 Sprint made more of an impression. It was a large grand touring coupe which could seat four adults in comfort over long journeys at high speeds. As such, it did not suffer unfair comparisons to other models in the Alfa Romeo range, none of which could directly compare to it. In that mode of operation, oriented more towards fast touring than sporting driving, the agility and handling balance of the smaller Alfas mattered less, while the stability and smoother ride of the larger car, and the wide power and torque band of the six-cylinder engine, came into their own. Added to the greater space and comfort, those virtues made a convincing case for the 2600 Sprint. The car also inherited the sharp, modern styling of its predecessor, the 2000 Sprint, and that certainly contributed to its being the top seller in the 2600 range. That shape had been the result of Giorgetto Giugiaro's first major project as head designer for Carrozeria Bertone, and is arguably one of the most influential designs in the history of automotive styling. A certain number of 2600 Sprint were purchased by the Italian government and specially equipped and modified to be used as Police and Carabinieri patrol cars, respectively nicknamed "Pantera" (panther) and "Gazzella" (gazelle), from the emblems of their rapid intervention teams. 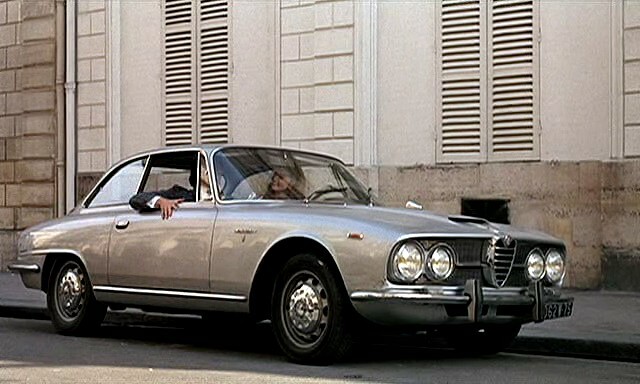 The cars were very suitable for high-speed pursuits to counter the increase in armed robberies by motorized gangs in 1960s Italy, and appeared in quite a few genre movies of the time. 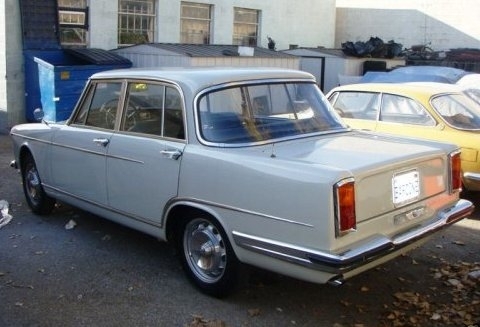 The 2600 range was replaced at the top of the Alfa range by the 1750 models in 1968. The 1750s were refined versions of the 1600 cc Giulia range which continued in production, so once more the Alfa Romeo flagship was a derivative product created by upgrading the motor of an existing range and carrying out a minor restyling. All similarity with the 2600 ends there though; the 1750s, and the 2000s which evolved from them, were a great success for Alfa Romeo from every point of view, especially sales. Today, as classics, the 2600 Sprint and Spider are appreciated for the tasteful and opulent styling of both the bodywork and the interior, for the performance, technology and sound of the six-cylinder twin-cam engine, and — perhaps ironically — for their rarity compared to the more successful Alfa Romeo models of the same era. The fact that the cars are rare, and their parts are either dedicated to the 2600 range, or derive from even earlier Alfas, means that owners need to dedicate a lot of effort and resources to restoration and maintenance. Very few 2600 Berlinas have found dedicated owners in the decades since the model was discontinued, therefore very few have survived. 2600 SZ's are very rare (only 105 cars have been produced) and they are the most valuable model in the range. The 2600 OSI De Luxe has always been extremely rare but there are no signs of it having become particularly desirable as a collector's item. Last updated on 13 August 2013 at 07:00.